Recently, I designed a blog in Photoshop. I need a hand cursor to show hover condition, but couldn't find a good one. So, I decide to spend a few hours to designed it myself. This cursor is based on standard hand cursor on my Windows 7 OS. It is made from vector shape and also has transparency on its edges. So, here it is. 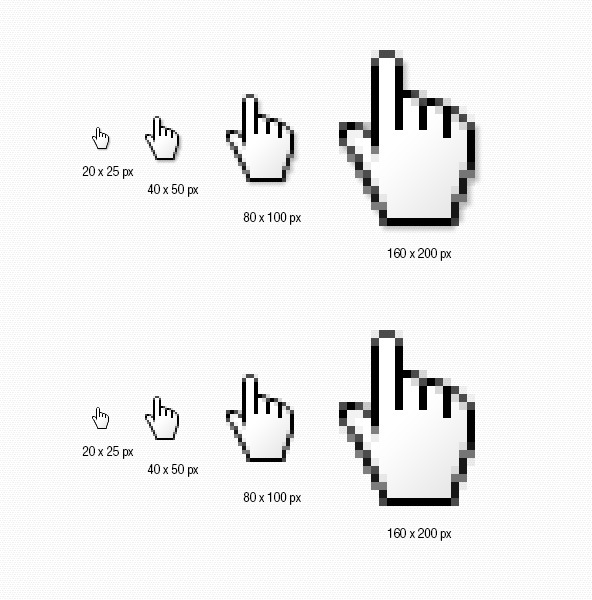 A free cursor hand icon in PSD format. I know some of you will enjoy it. I also draw its big version. I have no idea where it might be used, maybe you can figure it out yourself.